Yesterday we received wonderful news that ECRA became Cooperating member of UIS. During several meetings of ECRA board in 2018 and as a conclusion of annual General assembly of ECRA in Casola Valsenio, Italy we apply 2nd of January 2019 for membership. Voting process was very quick and just after 5 days we received positive answer! Decisive role had Gyula Hegedus, adjunct secretary of UIS, member of Hungarian cave rescue service and very active person in ECRA. ECRA is a specific and professional transnational organization. 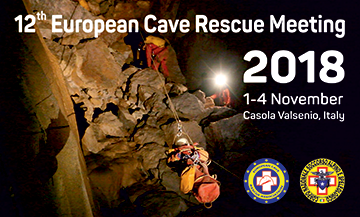 ECRA involves different national and regional cave rescue organizations and organizations affiliated to cave rescue with the aim to build a networking platform for knowledge and experience exchange in the field of cave rescue. All cave rescuers involved in ECRA represent their own national or regional cave rescue service and are all experienced cavers and members of caving clubs and sections. ECRA has a strategic interest to be part of the wider caving community, since the most important human resource for cave rescue are cavers. The cave rescue service serves the public interest even cave rescue actions by some national statistics make up less than 30% of total interventions. However, we believe that the wider cave public has a strategic interest to be very well informed with the status of that kind organizations and to take care of their prosperity. Therefore, we are proud to be part of worldwide caving community.